If you are looking for tranquility and relaxation visit the small but picturesque village of Veljusa and enjoy its warm hospitality and beautiful buildings and environment. Definitely the most impressive building here is the Monastery of Holy Mother of God Eleusa which is a splendid medieval construction built at the end of the 11th century. The monastery is located in the village of Veljusa, almost 7 kilometres west of Strumica and it is built on a cliff. 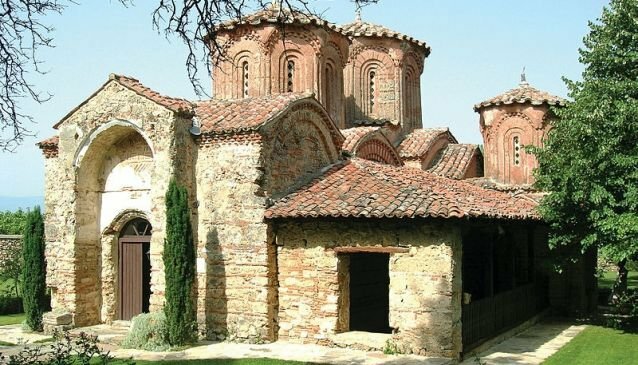 What make the monastery most visited place in the eastern region of Macedonia is its splendid frescoes, floor which is a beautiful mosaic and the outstanding iconostasis. Furthermore, the monastery owns beautiful paintings which originate from three different periods. The Monastery of Holy Mother of God Eleusa is surrounded by tranquility, green nature and fresh air which make it an ideal place for enjoying quality times with family or friends and capturing breath-taking views.